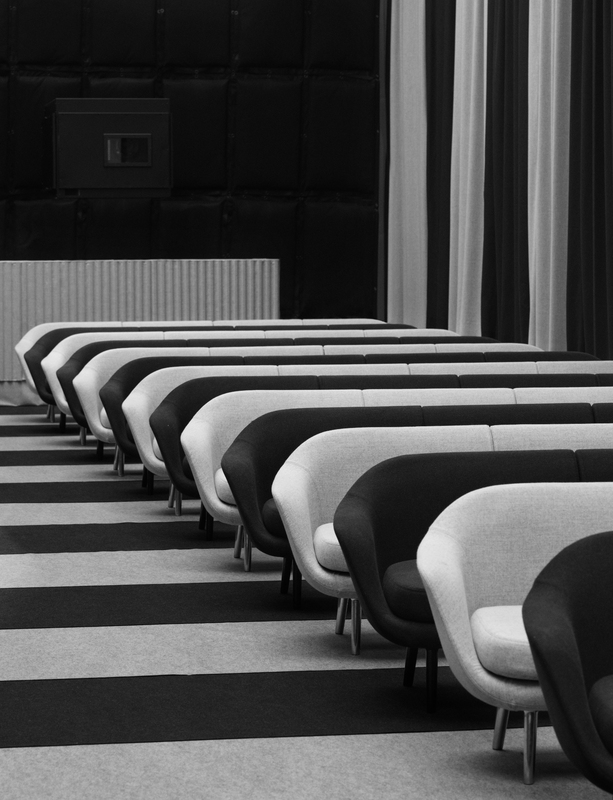 Normann Copenhagen and CPH:DOX are once again collaborating on the Copenhagen International Documentary Film Festival, which runs from March 15–25, 2018. 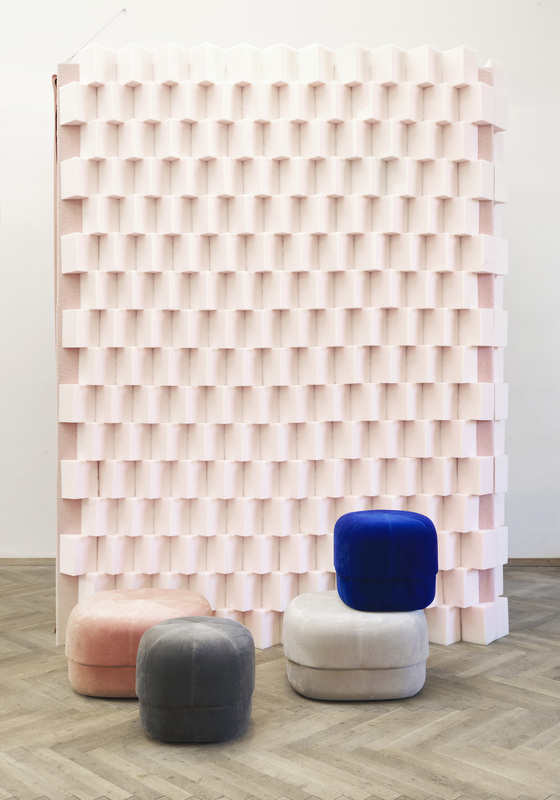 The main venue for the festival is the art center Kunsthal Charlottenborg, which is bursting at the seams with colorful, functional furniture from the festival’s main sponsor, Normann Copenhagen. The visual concept for this year is centered around the stripe. The stripe is a uniform, monotonous pattern, and it’s precisely this dull uniformity that Normann Copenhagen and CPH:DOX are challenging us to break from: Norms and conventions shouldn’t keep us from looking at the world in new ways. The goal was to design an interior that creates a sense of wonder and awe, challenging the way we usually experience film festivals. The result is a refined conceptual design, which emphasizes our perception of space. CPH:DOX’s Art Director Peter Hjetting is the brains behind the visual identity, which was transferred to Kunsthal Charlottenborg by Fie Reffelt and Nan Sofie Brøgger of Reffelt Brøgger Studio. 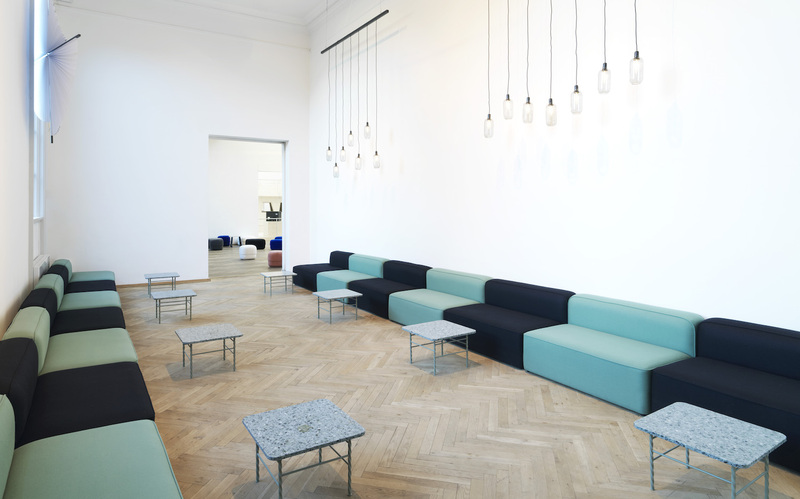 Last but not least, Brand Manager Britt Bonnesen and Designer Hans Hornemann from Normann Copenhagen assisted with the interior design, color theme, and furniture selection. Over the festival's 11 days, this stately Baroque palace will host hundreds of exclusive film screenings, workshops, lectures, debates, virtual reality experiences, innovative designs, parties, and much, much more. It was therefore important to create an interior design that could be adapted to accommodate the dynamic nature of the event. 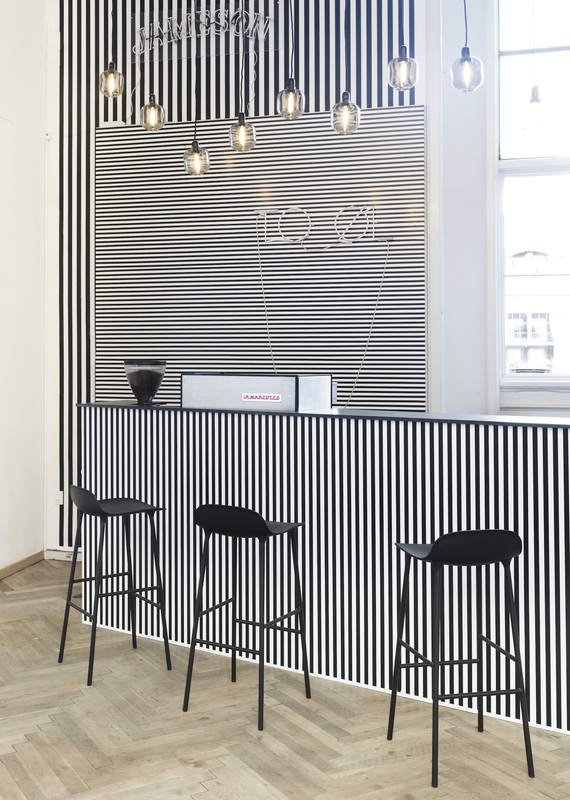 This year’s stripe theme can be found in all of the rooms, but manifests itself in different ways. In some rooms, stripes appear on walls and podiums, while in others they can be seen in the layout of the furniture or in the color scheme. In several places, this monotonous cadre of stripes upon stripes is refracted by colorful furniture designs, which stand in sharp contrast to the graphic universe around them. Prim, classical shades of red, black, white, and gray alternate with expressionistic colors like electric blue and blush. 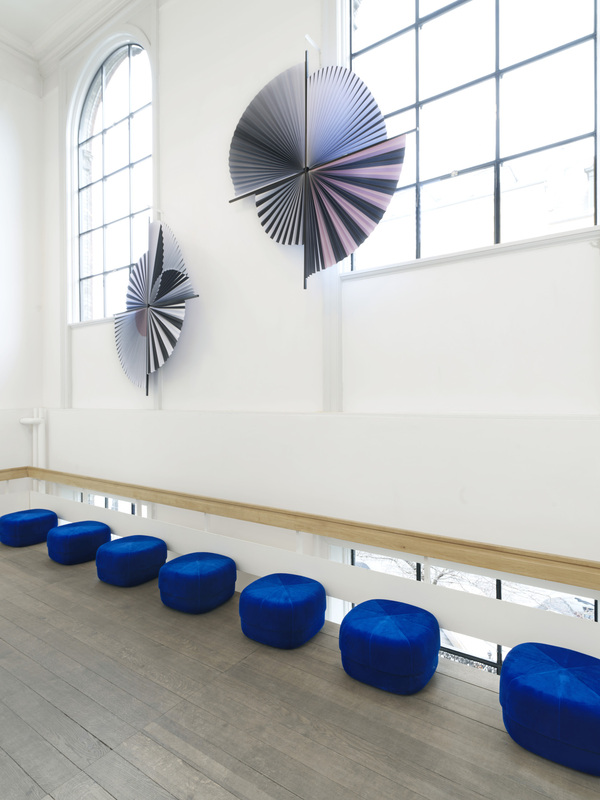 Contrasts are used throughout the color narrative as a deliberate sensory intervention that provokes moods, feelings, and expressions in the rooms. The Social Cinema is all about watching movies in a completely new way. The theater is social in a very literal sense, as moviegoers sit right next to one another on sofas. 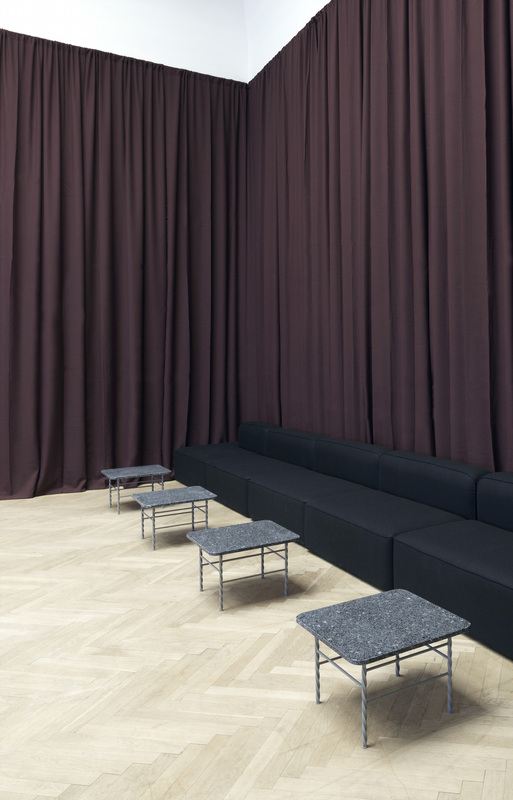 This year, 250 movie fans can enjoy the relaxed comfort of the newly-launched Sum modular sofas, whose invitingly open design is a perfect reflection of the Social Cinema's informal format. 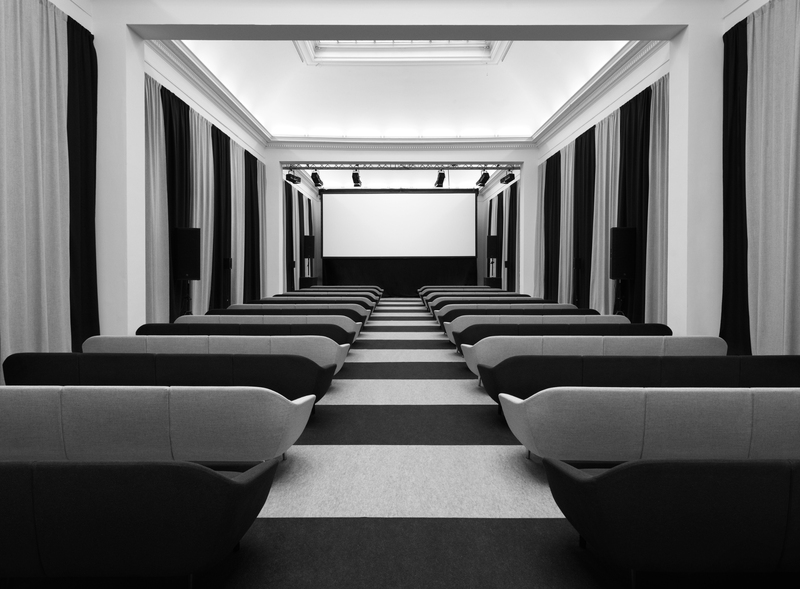 The walls of the Social Cinema are adorned by gorgeous sustainable, eco-friendly textiles from Camira, with their striking broad black and gray stripes arching from floor to ceiling. 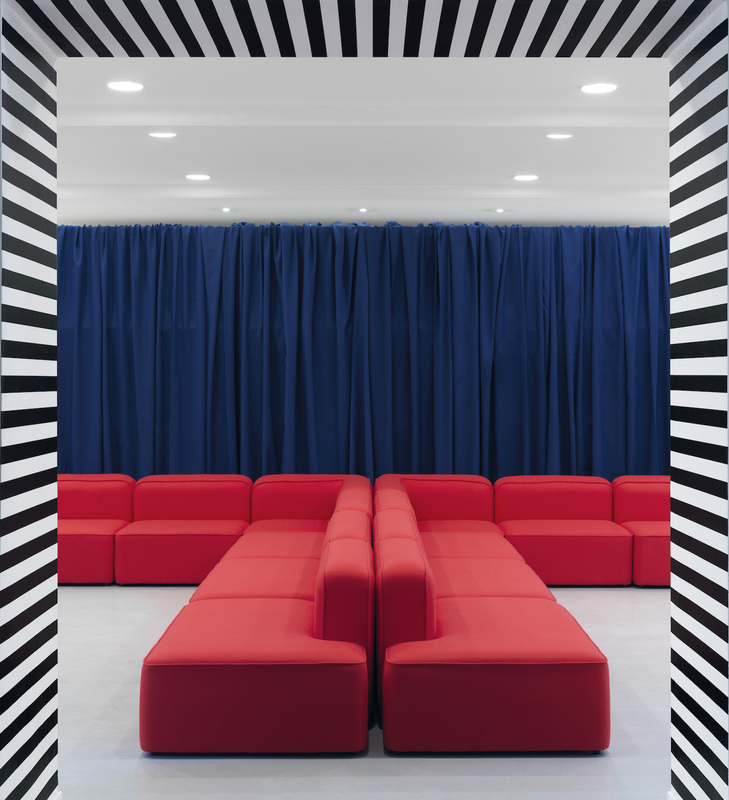 The striped theme is repeated in the orderly rows of Sum sofas, providing the sensation that the walls, floor, and ceiling all flow together. The textiles add warmth to the room and impart a tactile feeling of billowy softness along with a hint of the comforts of home. Another spot at Kunsthal Charlottenborg that challenges the status quo and the way in which we’re accustomed to watching movies is the popular VR Cinema. The cinema is outfitted with rotating Form chairs to provide moviegoers with unhindered freedom of movement and an opportunity to fully enjoy the complete virtual reality experience. 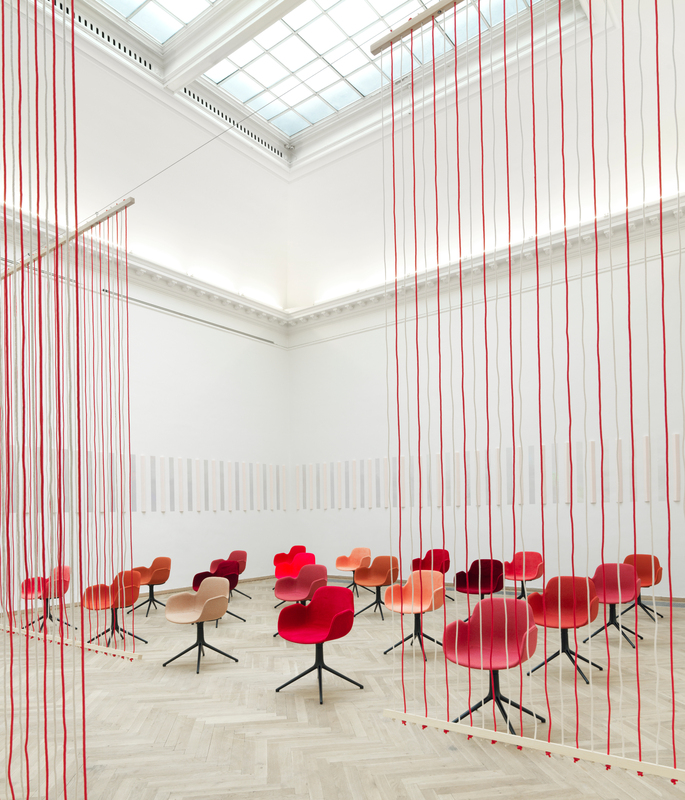 As a physical manifestation of the digital escape from reality, foam blocks decorate the walls, while the dark red chairs create a stunning, contrasting backdrop. 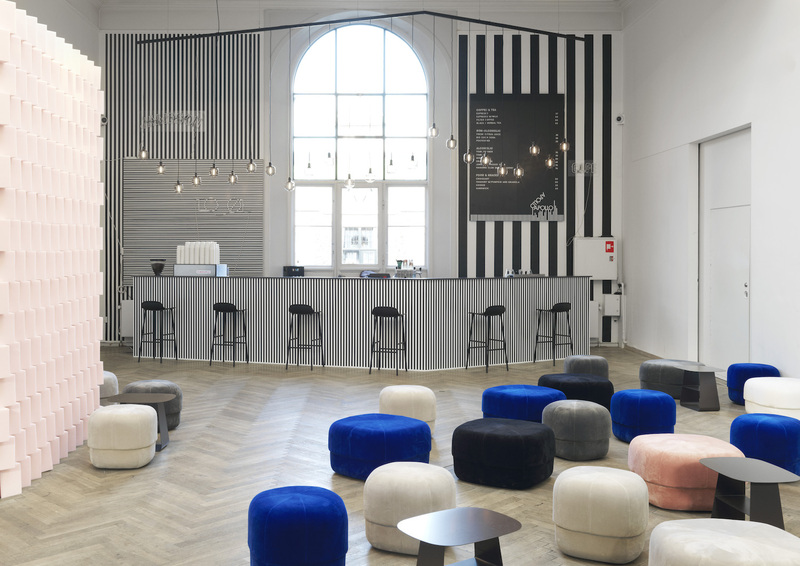 For Normann Copenhagen, identifying with and orchestrating new cultural, artistic, and media formats is nothing new. The design house has helped this project take flight for two years in a row. 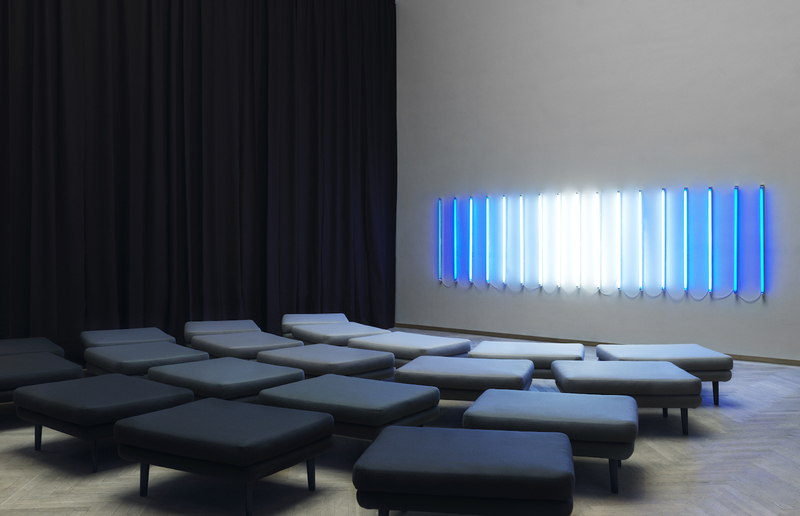 Normann Copenhagen also sponsors the NEXT:WAVE competition, for films that are breaking the mold within the world of documentary filmmaking.